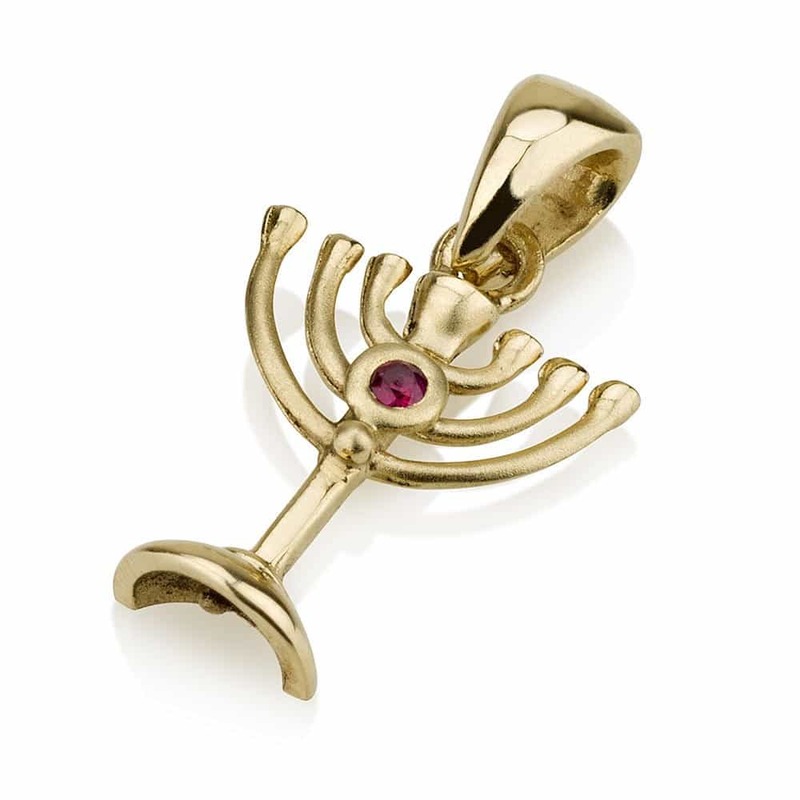 This menorah pendant is adorned with a bright red ruby at the center, representing the traditional Jewish symbol of splendor and pride. Wear this exclusive piece of art around your neck and enjoy blessings. This menorah pendant is adorned with a bright red ruby at the center, representing the traditional Jewish symbol of splendor and pride. Wear this exclusive piece of art around your neck and enjoy blessings. The size of this pendant is 12 mm x 9 mm. The size of this pendant is 12 mm x 9 mm. 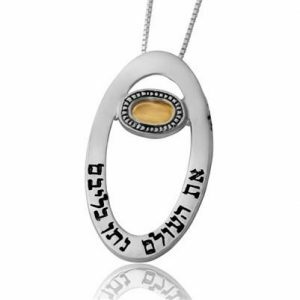 Silver and Gold Kabbalah Necklace- "The World gave to their Heart"
Sliver and Gold Chariot (Merkavah) Necklace - "May God's blessing will enrich"